Choose Your Own Edition: O Pioneers! 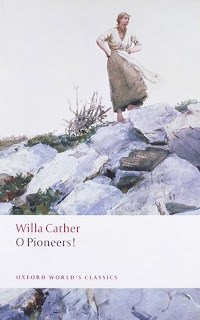 On the heels of my search for the perfect The Tenant of Wildfell Hall, I bring you my longtime search for the perfect O Pioneers! This book. This book is my very favorite Willa Cather. And that is saying something, as I consider her to be the actual Great American Novelist. I am so very grateful we made our way around to her in my tenth grade American literature class. 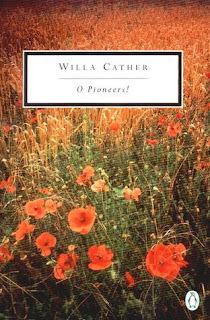 I was so, so ready for a woman author and stories that felt like they represented the land I knew and loved, even if they hailed from time periods and life experiences entirely separate from my own. 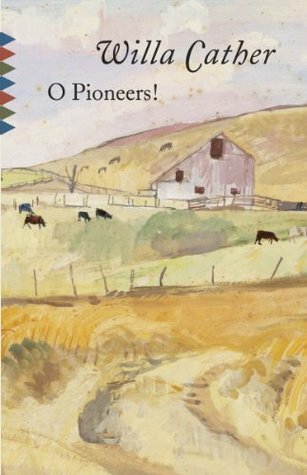 To this day, I count the first time I read O Pioneers! as one of the highlights of my life. I currently own a somewhat battered mass market copy (I believe it's a Signet Classic) with rows and rows of hay bales on it. Which is fine. But it doesn't sing the way the cover of this beautiful book should. And so I bring you the three editions I like best and ask your humble opinion. 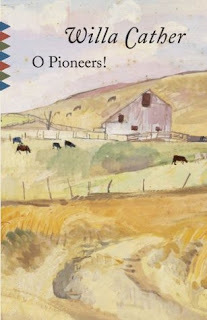 For a long time, I've leaned toward the one on the left, with the barn and the lovely simple lettering. Then I recently ran across the middle Oxford Classics edition with Alexandra herself on it, and I'm quite taken with it as well. Alexandra. How I love her. And lastly, the brighter Penguin Classics poppies. They are all lovely in their own way. Which way do you lean?